SHOPPERS are being urged to turn over a new leaf with their outfits for autumn and winter. Television stylist Mark Heyes will be at the intu Braehead shopping centre this weekend for a series of catwalk shows and handing out tips and advice on the latest fashion trends. 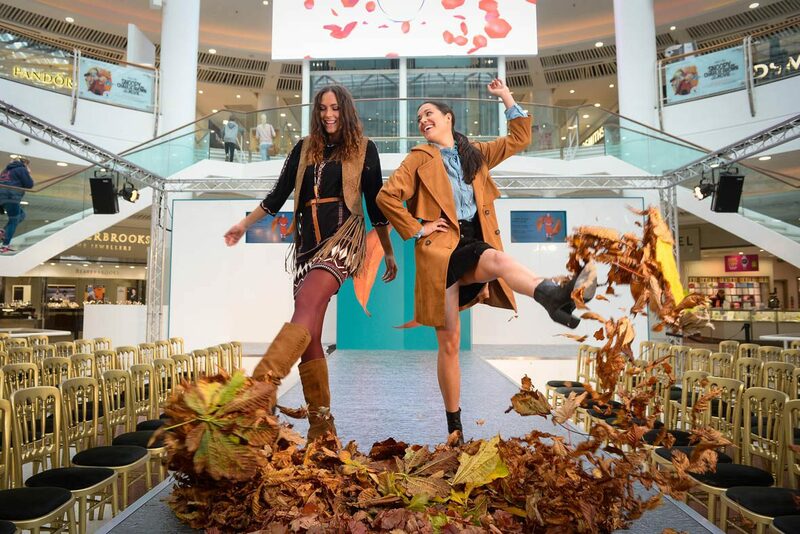 The AW15 Fashion event is being held on a specially-built stage and catwalk in the mall’s central atrium between 11.30am and 4pm today (Saturday), tomorrow and Monday, October 10 to 12 and features exciting performances from models and dancers. For the first time, mall owners intu has teamed up with critically-acclaimed fashion designer, Celia Birtwell who has created an exclusive print tote bag for the fashion event. And 250 lucky shoppers at intu Braehead will be given one of these fabulous tote bags by logging on to http://intu.co.uk/braehead/events/aw15-fashion and registering for the event. Marketing manager for intu Braehead, Christine Macdonald said: “We’re heading into new seasons of the year and that means looking at a new wardrobe of outfits as well. “Having style guru Mark Heyes at our fashion shows giving out advice is a great chance for everyone to turn over a new leaf in style and look their best for autumn and winter.